In this topic, I am providing a categorized directory of all relevant Communication from Blizzard Entertainment regarding Overwatch. This includes all relevant forum posts from the Overwatch Development Team, community managers, and customer service representatives from both the new forums and the old forums. This also includes any relevant Reddit posts, Developer Update Videos, News Articles, Technical Support Articles, Third-Party Interviews, etc. Basically, anything that is not in an organized place. Please note, Patch Notes are not included. Responses on the forums for violations of the Forum Code-of-Conduct unless there is relevant information that can educate the community. Any Blizzard representative response in the Technical Support forum, the Bug Report forum, the PTR Feedback Forum, the PTR Bug Report forum, or the Looking for Group forums unless the post contains specifically relevant information related to the current state of Overwatch that can contribute to all players. Some links to common sticky posts and support articles are provided here however. Any Irrelevant Meme or Prank responses (yes they do have some from time to time). We agree. Lucio’s pickrate in Lucioball is very concerning to us. Any posts that hint or preview features or changes to the game that have now been applied in the current patch of the game. For example in 2016 and 2017, Reporting on Console was a heavily requested feature. Since that feature is now in the game, any mentions of that post are no longer included in this archive. Most Blizzard Posts regarding the game’s development in Beta, unless it is historically relevant. I don’t have direct access to the beta forums which have been shut down for years now, not to mention most posts in the Beta are irrelevant to the state of the game today. To keep things simple, click on the expand header to open that category to view that list of posts. Posts are organized by subject, post author, date, and source. A emoji indicates a post that is no longer available to be replied to. A emoji indicates a post that may be longer relevant to the current state of the game. A emoji indicates a post that contains highly relevant information and is a recommended read for all members of the community. A emoji indicates a post that contains information that is temporarily relevant and will likely be removed from the archives at a later date. A emoji indicates a post that may lead to “dangerous” content, the post is to denote the warning from Blizzard about such content, but be sure to not navigate to the source content in order to protect your accounts. I like maintaining a record of all relevant responses from Blizzard in order to answer questions to other players on these forums. This is not an initiative for me as a forum MVP, but as a player who really loves this game. I hope that by sharing this organized database, players will be able to look into past developer responses to be able to cite from when creating constructive content here on the forums. Please let me know in the comments below if I missed any relevant content (be sure to provide a link), or if I just screwed something up (I am sure I mislinked something at least once). DIRECTORY (Note each category is in its own page due to character limit per post). Dear Devs, do you think Symmetra is in the right spot? The stats prove Mercy and Ana are balanced. Why do Mercy mains keep complaining? Do the overwatch devs actually look at the forums? What's the update on solo queue? Thoughts on 8 v 8 mode? If you need additional help with disconnections in Overwatch please visit the Tech Support forum or start a web ticket with Blizzard. If you need additional help with crashes in Overwatch please visit the Tech Support forum or start a web ticket with Blizzard. Did I miss Developer Updates in Dec. And Jan? There’s a YouTuber by the name of ‘Dinoflask’ who mirrors all of the developer updates, so I don’t know why you posted them here. Because that is only the DUV’s and only on YouTube. This is a forum resource to provide EVERYTHING that Blizzard has said about Overwatch in one place. This is a lot of stuff in one place. You are an absolute madman, keep it up. After reviewing the first section, I overhauled the Competitive, General Features, and Report/Actions sections to have more defined sub sections. Now you should be able to look up specific subjects in the headers for easy research. Everyone has a little bit of insanity in them, you just got know how to use it. I suppose this goes to show that the community cares more about the game than the creators. 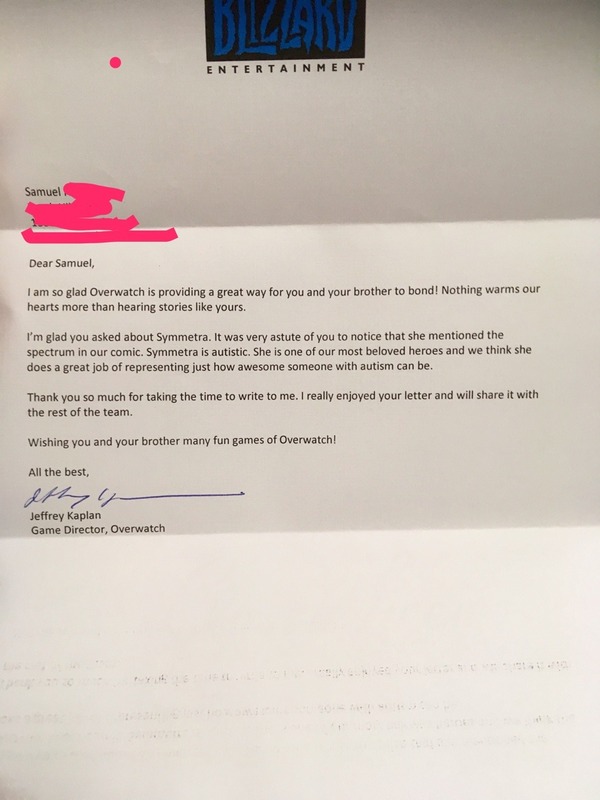 The community cares and so does Blizzard. Right now, it seems so frustrating with a lack of communication from any of the development team lately, but do remember that it is BlizzCon season. The forums was just as quiet this time last year. I know they are working on making the game even better. I have a feeling our patience will be rewarded within a matter of days. Edit 2 - Any chance this can be broken up into Seasons? I know that’s a bit more formatting, but it does help make it more easily digestible since people associate certain things with certain seasons. Added. I think I was getting tired by the time I was sort through the Geoff Goodman posts. Not to mention since a high majority of the posts are short responses of balance changes that are now out of date from the release of the latest patch, I often did not include them. However this one is worthy because of the design principal he discusses. Thanks for pointing it out. Competitive Season or Calendar Seasons? Not quite sure what you mean. If changes reflected a certain Competitive Season it was marked. Otherwise any subject point should technically apply today unless it has an hourglass emoji attached to it. Basically an alternate way of structuring things. Although I totally understand if you wouldn’t want to do that just because a megathread by itself is already so much work. It was always a pain trying to find older Dev comments that I knew existed but couldn’t easily find, especially when they were on the old forums. Gonna make life so much easier. Yeah, I rather keep things sorted by category rather than date. Thanks for the suggestion though. You are most welcome. That is the whole goal of this topic. Thanks to everyone who has liked my topic so far, it means a lot to see this has been well received. If you ever feel like you are ever going to use this resource, remember to hit the blue bookmark icon in the starting post. That way you can find the topic in your bookmarks on your forum profile.